Will be more just a Model Expo this year. This year our show will only be about our hobby of modeling, whether it's plastic, resin, wood, paper, etc. We wanted this contest to be focused on modeling by going back to where it all started, back to our roots, before our 10th anniversary show. 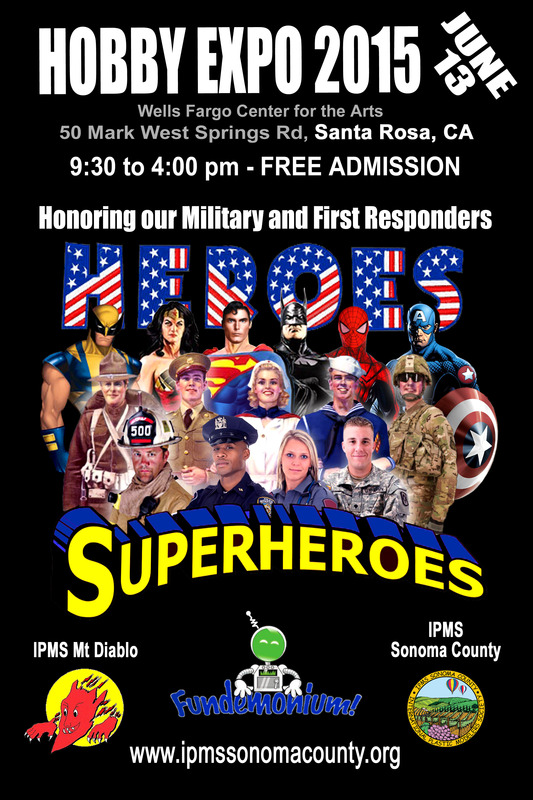 The show will be held on November 19th at Fundemonium in Rohnert Park (click here for directions). There will be almost the exact same amount of space for the contest, just minus one table. We will have vendors at the show, a raffle, and more. 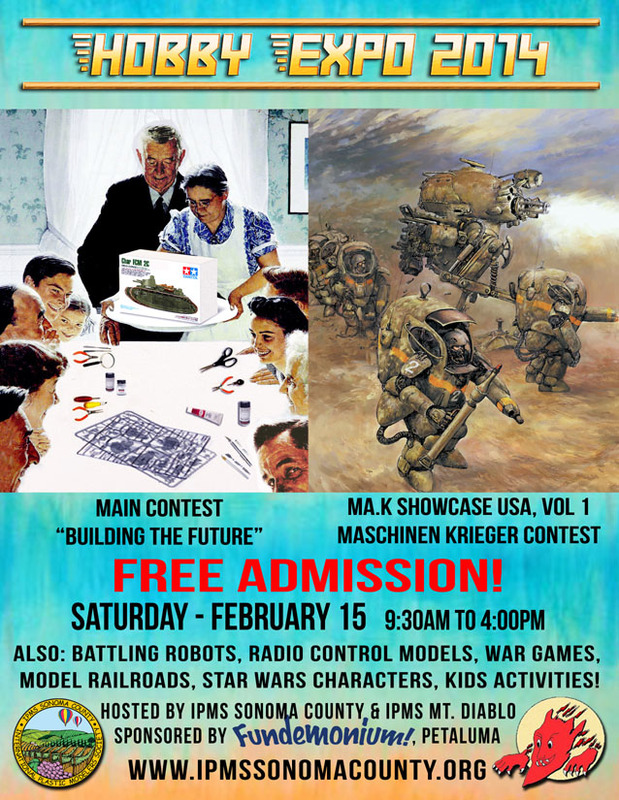 This is a plastic scale model contest open to the public. Pre-finished, pre-assembled, flying or RC models are generally not eligible. A strict definition of "plastic" can be found in the IPMS USA Competition Handbook (see below). However, some flexibility exists in cases such as scratchbuilt scale models, operating scale models and cast metal figures. If you have questions about eligibility, please contact us ahead of time. 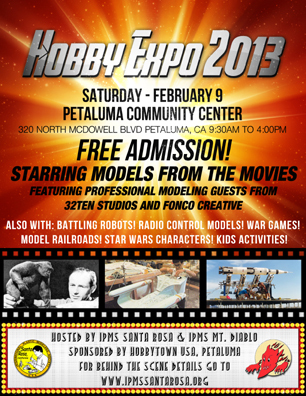 Previous year's Hobby Expo contest winning models receiving a First, Second, Third or special award and models built by Region 9 IPMS members that exceed the "One Year of Competition" rule are not eligible to compete. The contest will not be judged "no sweeps"
What if I don't want to enter the contest? Then bring your models anyway! We encourage everyone to bring something, whether it is a past National winner, just a neat model you enjoyed building or a work in progress. The goal is to have FUN and we all love to look at models. We'll have plenty of room for you to show off your creations and there is no fee for display models.If you have something that is unusually large, please contact us in advance. All models must be checked in at our registration table, including display only models.